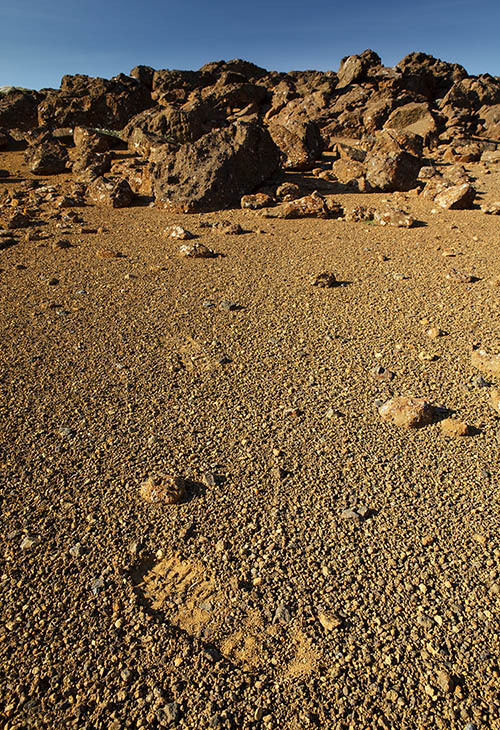 I have spent the last few days on Mars photographing strange geological formations. 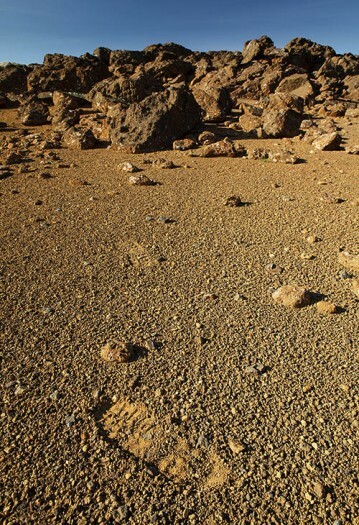 While exploring the rock deserts of the Red Planet, I noticed footprints in sand left behind by a large bipedal creature. Although I have a definitive proof that there is life on Mars, I could not find any indication whether this was a sign of the presence of an intelligent life form.